Thousands of people lined the River Thames between Putney and Mortlake to watch Cambridge win the 165th Men’s Boat Race with a time of 16 minutes 54 seconds. This takes them to their third win in the last five years, with a well-fought victory of just over a length. With the river tides having strengthened since the women’s race, both boats started the contest at a furious tempo, as Cambridge managed to eke a half-length advantage as the second minute approached. Blades clashed repeatedly as Toby de Mendonca attempted to keep the Oxford boat close to the Light Blues. 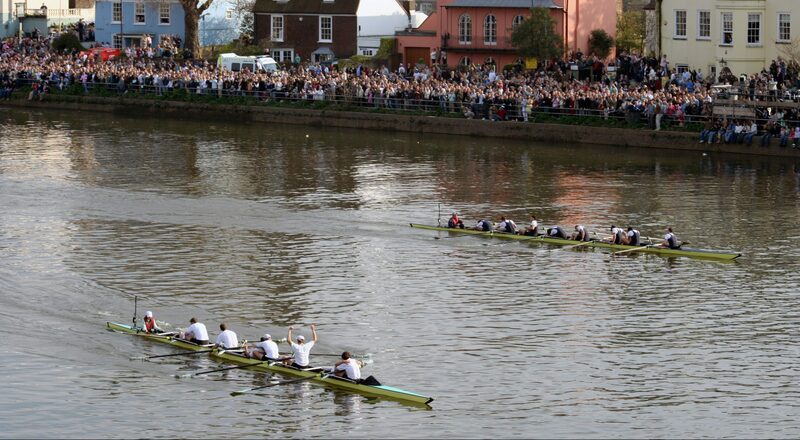 By Hammersmith Bridge Cambridge had found a four second advantage and drawn noticeably ahead. Oxford continued to keep close but was unable to ultimately close the gap that Cambridge maintained throughout the race. The crews could not have been better matched on paper, with both coming in at an average height of exactly 194.6cm and a weight of 90kg for Oxford and 89.8kg. However, this year’s Cambridge boat contains a wild-card: the 46 year old James Cracknell, six time world and two time Olympic champion, who has become the oldest Blue on record. Oxford’s boat was a young, undergraduate cohort made up of Charlie Pearson, Ben Landis, Achim Harzheim, Patrick Sullivan, Tobias Schroder, Felix Drinkall, Charlie Buchanan and Augustin Wambersie, with cox Toby de Mendonca. Is anti-Semitic chanting a White Hart shame?